Wish To Make Contact With Angels & The Divine Feminine? 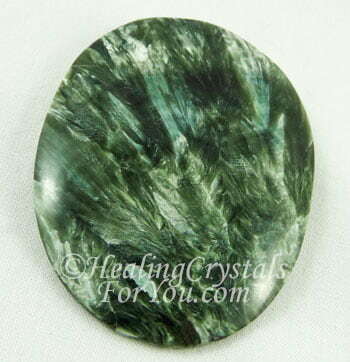 Seraphinite has a lovely spiritual energy that aids your connection to beings in the angelic realm and may help you to make contact with the Divine Feminine. 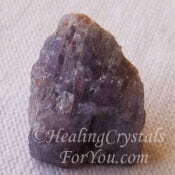 It may help your search for spiritual enlightenment, and will assist you with self healing. 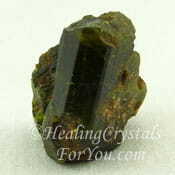 This green stone is a type of clinochlore and is also known as Serafina and by its original name of Green Chlorite. 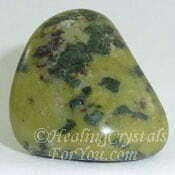 This green stone is mainly found in the Lake Baikal area in Siberia, Russia. These lovely stones are known for the beautiful mixture of the deep green color, shot through with lovely silver markings that in many Seraphinite stones resemble beautiful angel wings. These markings are the major reason for it being given this name. 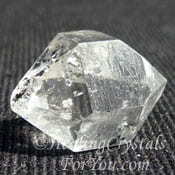 The meaning of this stone's name is derived from the name Seraphim, the angels of highest spiritual level. 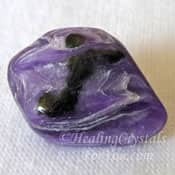 As these stones have a strong energy to contact the angelic realms, this name is quite fitting. 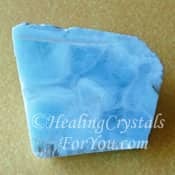 By meditating with this beautiful stone, many of you may discover that you make a connection to the angelic realm and may find that you make a connection with the Divine Feminine. 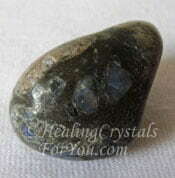 This stone has a sweet vibration that centers you and brings through spiritual energy. 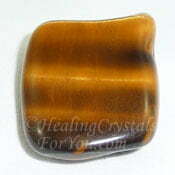 This stone has a strong healing vibration, and is known to bring all of the etheric bodies into alignment with the energy field of the spinal cord. 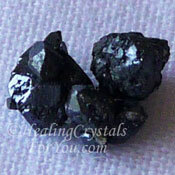 Exquisite Crystals, my most trusted source for buying crystals has beautiful Seraphinite. As any blocked energy within any of the etheric bodies clears, this allows the movement of energy to normalize in the body. You may then begin to make contact with beings in the higher realms as you resonate with this higher vibration energy and light. 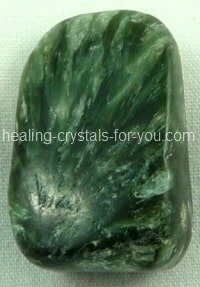 Seraphinite is known to open the crown chakra and the soul star chakra above that, to bring Divine light through into your being. It can help you to clear blockages in your meridians and in your auric field that are holding back your spiritual growth. 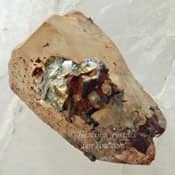 Many pieces of stone have a pattern within them, almost like the wings of angels, and these stones may be even more powerful to encourage this angelic contact. Once your energy is enabled to freely move between all of the chakras in the body, linking may occur between the soul star chakra and the heart chakra. The energy may move up via the thymus or higher heart chakra, through to the crown chakra and then up to the transpersonal chakras within the etheric body. 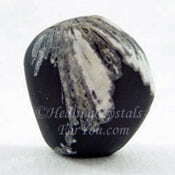 The energy of the stone may stimulate an awakening of the kundalini. As the kundalini rises up the spine it will clear and activate all of the chakras. It has been found by many users of this stone that out of body journeys are made easier by the presence of this stone close by. 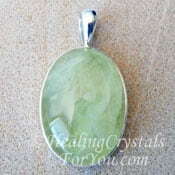 These lovely green stones are said to be a powerful aid to protect the physical body while you are gone. 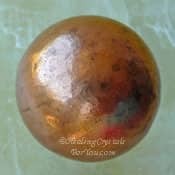 As you allow the joyful energy that this stone brings to flow through you, out into your entire auric field, you may be open to understand more clearly the meaning of enlightenment. As it strengthens the blood, this will flow to all of the body to bring physical wellness throughout. 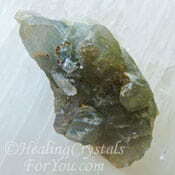 The vibration of this stone brings an influx of light into the cells to aid healing on all levels. You may find after you have used it for a while that you seems to be infused with the light that is now resonating within you. 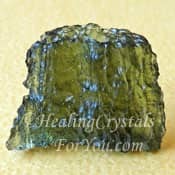 Seraphinite stones are easy to buy, and this crystal is an excellent choice if you are a healer or if you simply want to use this stone for self healing. 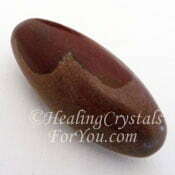 This is one of the more powerful stones for the healing of the physical body. 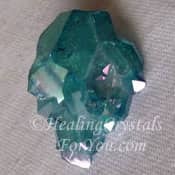 This lovely green healing crystal is known to aid cellular regeneration, and may allow you to become aware of the diseases that are linked to issues from past lives. By aiding the decoding of the DNA it will help to bring about the decline of former systemic diseases. As they subside the vibrations of the new arrangements within your DNA become prominent. 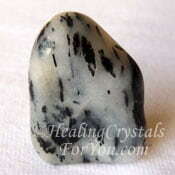 Meditating with this lovely stone is a powerful way to use it. 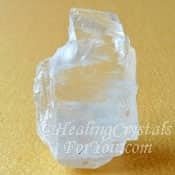 It may be combined with any of the high crystal energy stones for this purpose. 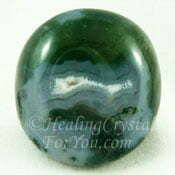 Seraphinite may be used by placing a stone on the third eye chakra, as this aids contact with the higher spiritual realms. 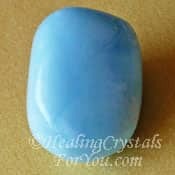 Many people find that contacting the angels is common when you have this stone on your body during meditation regardless of where you place it. 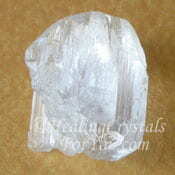 As it is known to stimulate clairaudience, having stronger psychic hearing will aid you to better hear the messages that come through from beings in the angelic realms. 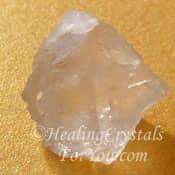 It is also known to stimulate clairvoyance or the gift of psychic visions, and this may enable you to see the angelic beings in all their glory! 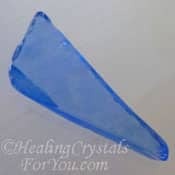 If you make contact with beings in the angelic realms using this crystal, this commonly involves a review of your current life and your current issues. These spiritual beings may then help you to identify what you need to do to make changes in your life, to bring yourself into alignment with your soul purpose for incarnating at this time. And it may also bring you inner happiness and personal fulfillment. 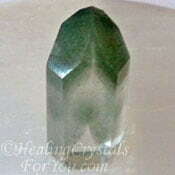 Seraphinite is an excellent aid if you wish to make contact with angels and with other beings in the higher realms, including the Divine Feminine. Note: The picture shown on the left had a lovely pair of angel wings appear on the photo. 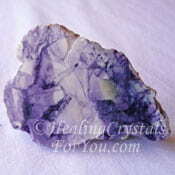 Isn't this lovely the way the Angel energy was affirmed! 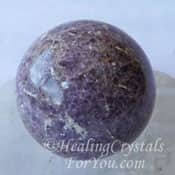 It is known to help you to develop psychic gifts such as psychic visions or clairvoyance, and psychic hearing or clairaudience, and aids contact with nature spirits. 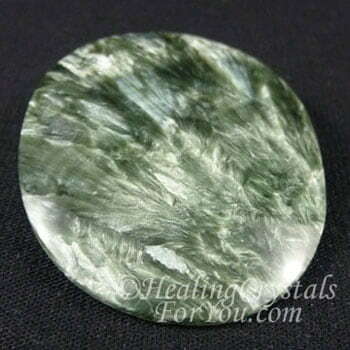 This beautiful green and silver crystal has a number of very powerful aspects. Among its most helpful features are its healing vibration, that aids healing on the physical, emotional and spiritual levels. 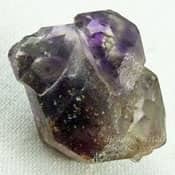 By keeping a piece of this crystal on your body for as long as possible each day, this will have a strong benefit to bring healing on all levels. 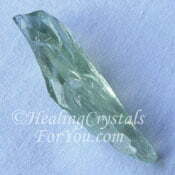 The energy of this lovely green crystal encourages you to live from the heart. 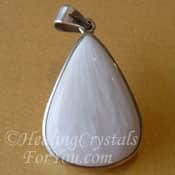 As it is such an attractive stone, pieces of this stone that have been made into jewelry are lovely to wear. 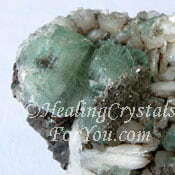 It is easy to buy Seraphinite jewelry. 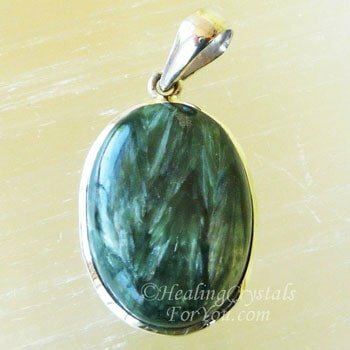 Wearing a pendant in the area from the heart chakra up will be most effective, as it keeps the energy close to where it has the most effect. Ladies, you may choose to tuck a small piece of the stone in your bra, which would keep it close to your heart. Alternatively you could wear this lovely green stone as a pendant, which is possibly an easier way to keep it on your body. 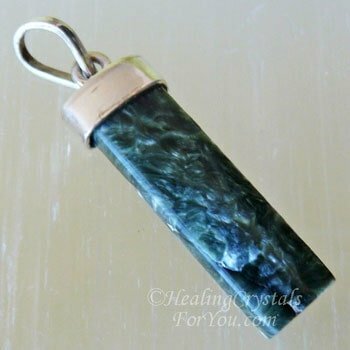 As it has a strong energy within both the heart and the thymus or higher heart chakra which is just above the heart chakra, keeping a Seraphinite pendant on your body is very effective. Another less well known way that it may helps you is to assist you to be more diplomatic in your communication, which may be helpful at times when its necessary to speak to others in a more in a more sensitive manner. 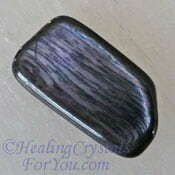 You could wear a piece of stone in your pocket, as keeping it within your auric field is the most important thing. Nature spirits are often present anyway, especially if you have a healthy garden and avoid the use of harsh chemicals in it. These beings live close to you and may make contact with you, if you are open to the contact. Children will naturally make this contact as they are open to believing, unlike many of us who have let go of this openness once we reached adulthood. 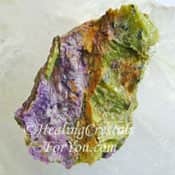 You may choose to use it with the stones shown below, such as green Fuchsite Mica, Green Apophyllite, Moss Agate or with Prasiolite aka Green Amethyst. 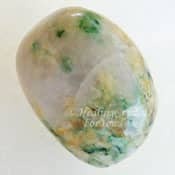 You may use Seraphinite on its own for this purpose or you may combine it with other stones that also attract the members of the Devic kingdom. They aid you to heal the earth, and this may also flow through to your health too. It is important at these times of global changes to encourage nature spirits to help you, as the earth goes through the transitions required to bring the planet to a higher level of being. By encouraging them to live near you, these beings will help to improve the health of the area where you live. 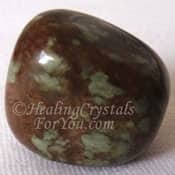 This stone has a strong energy to aid contact with nature spirits and elemental beings that inhabit the green areas around your home. "The most beautiful thing we can experience is the mysterious. It is the source of all true art and science." Albert Einstein. 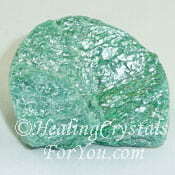 Seraphinite is a stone that aids you in a number of different ways and that works well in combination with almost all other crystals. 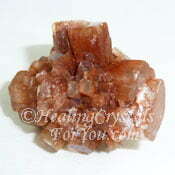 Having said that here are some suggestions for ways you may choose to combine it with other crystals. 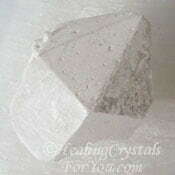 Please read each of the pages on the individual crystals for more information on how it might work with any particular crystal. 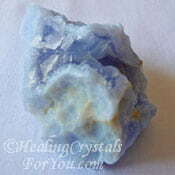 For healing use it with Chrysanthemum Stone, Larimar, Blue Aragonite, Dream Quartz, Epidote, Lilac Lepidolite and Sugilite. 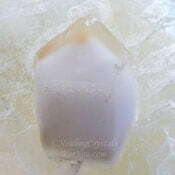 Using it with any of the high crystal energy stones is very effective for boosting contact with the spiritual realms. 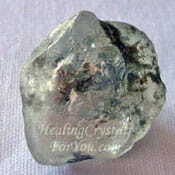 The high vibration stones such as Moldavite, Herkimer Diamond, Phenacite, Nirvana Quartz, Scolecite, Beryllonite and Charoite combine well with it. 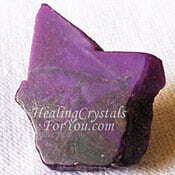 For connecting with angels there are a number of other stones that are also highly effective. 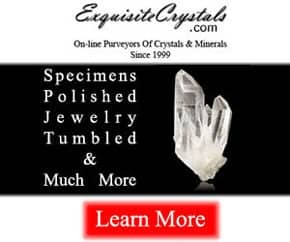 These include Amphibole Quartz also called Angel Phantom Quartz, Lemurian Crystals, Danburite, Herkimer Diamonds, Aragonite Star Clusters, Blue Celestite, Tanzanite, Beryllonite, Petalite, Green Prehnite and Angelite. 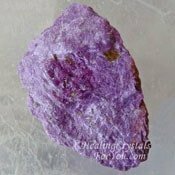 If you are doing spiritual work including raising the kundalini, there are a number of other stones that you might use with it. This includes Gabbro aka Blizzard Stone, Brookite, Atlantasite, Green Serpentine, the lovely pinky purple Stichtite, Tigers Eye or Shiva Lingam. 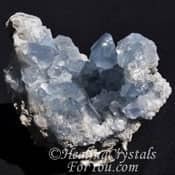 If you find that you are often in situations where you need to communicate more diplomatically, and could use some extra help with this, use it with other crystals that are known to assist you to speak in a more careful and diplomatic way. 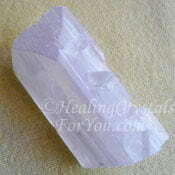 Crystals to use for this reason includes Mariposite, Witches Finger, Nunderite or Copper. 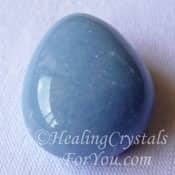 To boost its action to aid your clairaudient abilities you may use it with Holley Blue Agate, Kaolinite, Tiffany Stone, Siberian Blue Quartz, Dream Quartz, Aqua Aura, Green Phantom Quartz, Hypersthene or Que Sera.